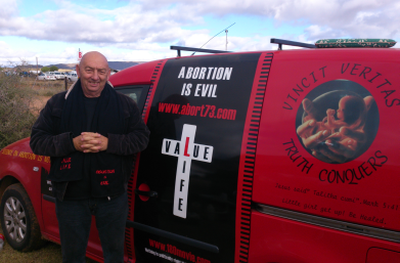 Africa Christian Action, a leading South African voice against abortion, reports on an international pro-abortion conference in Grahamstown from July 8 to 12, and calls on Christian pro-lifers to take a stand for life. Pro-abortion academics, activists and students from around the world will be gathering at Rhodes University in Grahamstown, Eastern Cape from July 8 to 12 2018 for The Abortion & Reproductive Justice: The Unfinished Revolution Conference. Abortion is never safe – a helpless pre-born baby is killed and the mother is often physically, and always psychologically wounded (as numerous peer-reviewed studies on Post Abortion Syndrome testify). Other physical consequences of abortion include infections, a perforated uterus or a lacerated cervix. Abortion also increases a woman’s chance of contracting breast cancer later in life. The pre-born baby does not choose to die! The rhetoric of choice also hides the reality of coercion. Abortion is often someone else’s “choice.” 64% of American women who have had abortions felt pressured by others and this pressure is significant. A woman’s choice to keep her baby may involve loss of home, family or essential support, or abuse that can escalate to violence. Homicide is the leading killer of pregnant women. He needs help to distribute these leaflets. Should you be able to assist please contact him at truth@valuelifeabortionisevil.co.za or 082 497 0863. Pro-lifers are not on the back foot. We are continuing to fight for life and set our own agenda. Representatives from pro-life congregations and organisations in South Africa are invited to participate in the annual National Alliance for Life Conference which will be taking place on Saturday October 6 from 9am to 1pm in Durban. The following day there will be the National March for Life and International Life Chain Sunday. The National Alliance for Life (NAL) is an umbrella body that was formed in 1995 and is the only body which represents all pro-life organisations and churches in South Africa. It was formed to create a platform for times where there is a need for pro-lifers in South Africa to plan and act together. It purposely does not have a constitution so as to allow very loose, non-rigid associations, within which each organisation and church group can maintain their own identity. The purpose of the conference is for pro-lifers to share ideas and experiences, and to strategise together for the year ahead. This is followed by the National March for Life in Durban and life chains in different cities, the next day, Sunday October 7. Since African Enterprise held a mission in Grahamstown recently, I do hope and pray that the churches there are revitalised, so they can shine the light into the darkness. ABORTION IS THE MURDER OF INNOCENT & DEFENCELESS CHILDREN!!! EVIL!!! Well done Peter that is a brave witness!